We knew this day was coming: It’s time to buckle up for Black Desert’s Xbox One debut, as preorders for the game on that platform have opened up as of today, and formal launch has been set for March 4th. 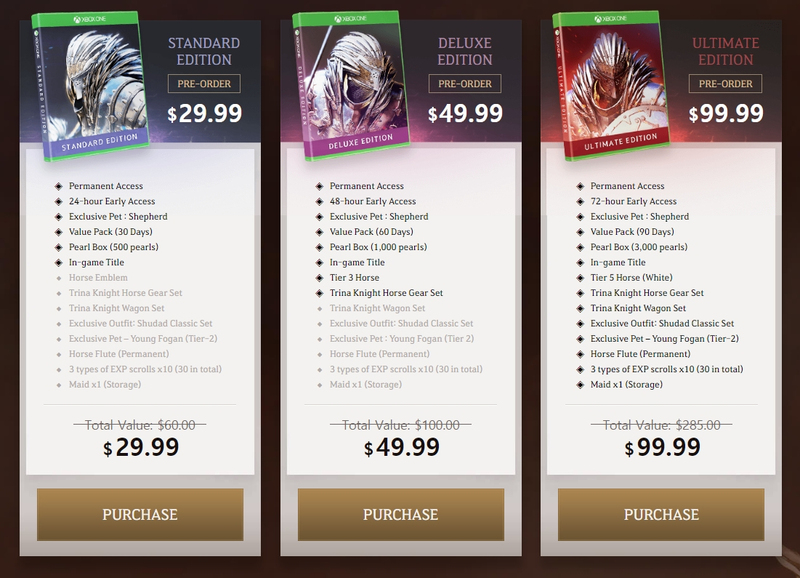 That means preorders are open too; packages run from $29.99 to $99.99, with varying levels of headstart access, premium sub time, cash-shop currency, cosmetics, mounts, pets, and buffs. We’ve tucked the brand-new trailer below too! I hope Digital Foundry does a video breaking it down. A lot of people don’t use a PC for gaming. BDO has pretty much launched in every world region at this point, the only place left is basically consoles.